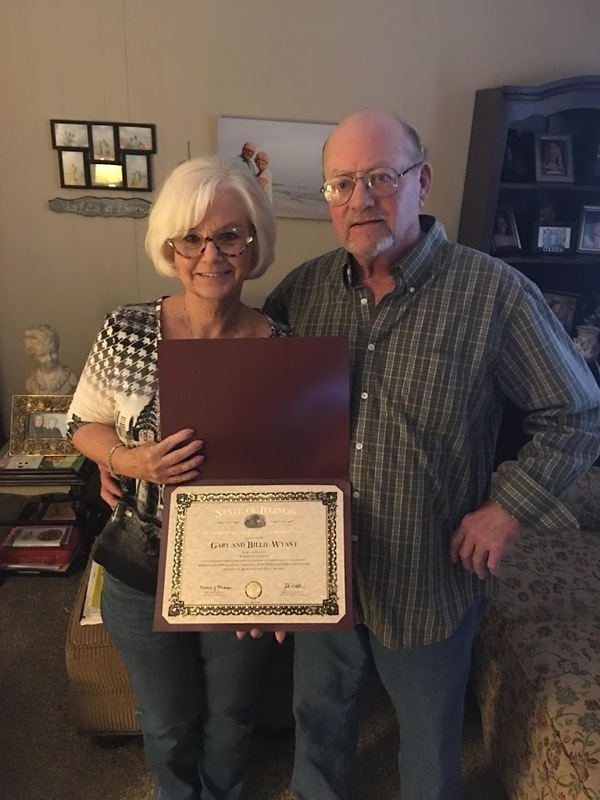 I was honored to present Gary and Billie Wyant with a certificate of congratulations on the occasion of their 50th Wedding Anniversary! Congratulations! 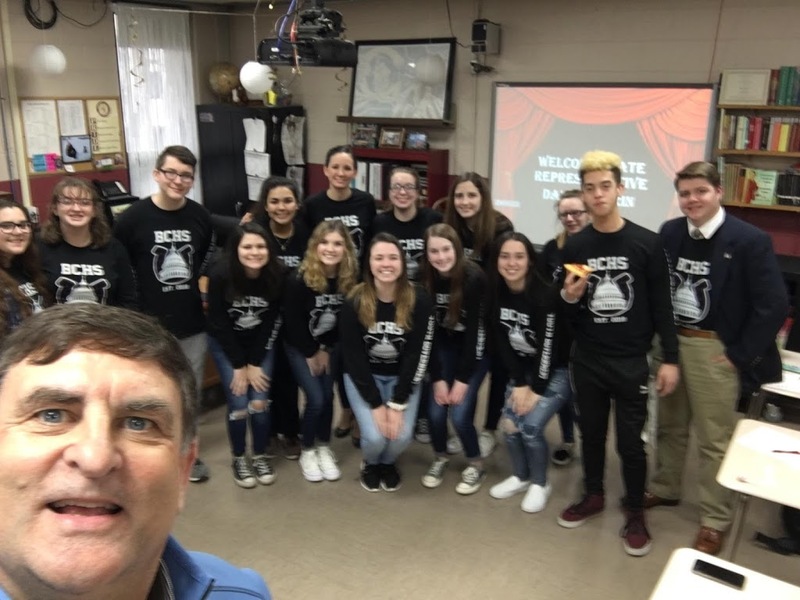 Before I get into the meat of the policy discussion for this week’s version of “Severin Says”, I want to share some great photos and memories with you of my travels throughout the 117th district when I am not in Springfield. Sometimes, when we lose a legislative battle in Springfield, it is a comfort to return home to the friends and family that I love in the 117th, and I consider my constituents to be my extended family! 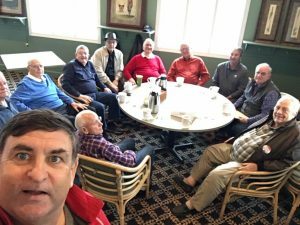 I enjoyed a robust chat with a fine group of gentlemen at the Kokopelli golf course last week over a few cups of coffee (for them, not me of course!) Thanks for the lively conversation! 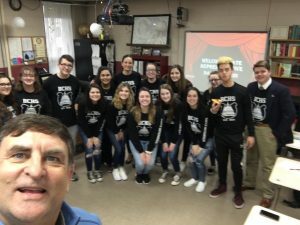 I had the pleasure on Monday of addressing the Benton Community High School government class. We talked about current events and how a bill becomes a law! 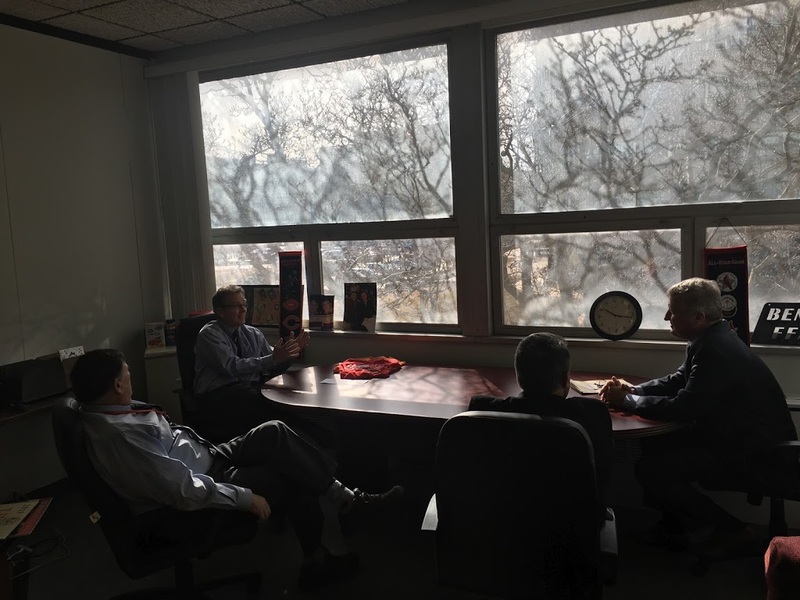 CEO Keith Thomason and legal counsel Larry Sanders at my office in Springfield. We discussed Rend Lake conservancy water opportunities, Rend Lake resort, and Rend Lake tourism needs, opportunities, concerns, and new programs coming to Rend Lake. PRESS RELEASE: Severin: Minimum Wage Hike is Valentine’s Day Massacre for Southern Illinois Economy Springfield….117th District State Rep. Dave Severin (R-Benton) was not in a loving mood following a Valentine’s Day vote to raise Illinois’ minimum wage to $15.00 per hour. Severin, who is a small business owner himself, says he is afraid that the impact of such a large increase will result in more businesses closing and more people leaving the State of Illinois.